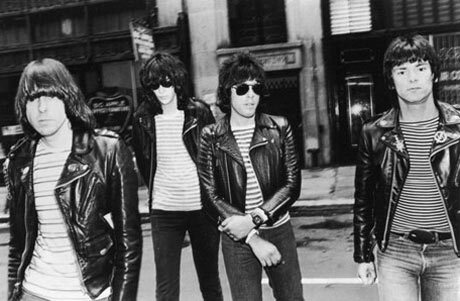 Almost 40 years after the New York-based quartet kick-started a fresh genre of music, influenced countless musicians and created some of the most memorable pop-based tunes imaginable, punk rock forefathers the Ramones have been cited as recipients of a lifetime achievement award at the 53rd Annual Grammy Awards. Honoured for their enduring impact on the world of music alongside fellow notables including Canadian George Beverly Shea and country singer Dolly Parton, the band are slated to be graced with the distinction during a special pre-televised ceremony on February 12, as Billboard reports. Given to "performers who, during their lifetimes, have made creative contributions of outstanding artistic significance to the field of recording," this is the first time a punk act will be inducted into the category. While it is not known exactly who will be present for the event, sad reality is that drummer Tommy Erdelyi is the sole surviving member from the band's original lineup. Vocalist Joey Hyman, guitarist John Cummings and bassist Douglas Colvin passed away in 2001, 2002 and 2004, respectively. Surviving member and longtime Erdelyi successor Marc Bell will presumably be a part of the ceremony given his enduring role in the band. No word has been given on if drummer Richard Reinhardt (1983-1987) and bassist C.J. Ward (1989-1996) will participate. As an amusing anecdote about the typicality of the born-to-lose aura that haunted the Ramones for their duration, they are the only act to have never received a Grammy despite being graced with a Lifetime Achievement distinction. A similar situation arose when they were inducted into the Rock and Roll Hall of Fame in 2002, a full six years after they had disbanded. Moreover, out of 14 studio albums, a number of live releases and singles in their 22 years together, the only release to attain major sales status was 1988 compilation Ramonesmania. It was certified gold by the RIAA after selling 500,000 copies.